Flood Water – reaching places where other waters cannot reach. As the floods rise, waterlife is swept into pools just as rising tides deposit sealife into rock pools. As the floods recede, fresh waterlife is often forgotten – stranded in shallows to perish whilst the focus goes into cleaning mud and debris from streets and houses. We asked volunteers what could be done to rescue freshwater life. The answer is simple – we need a fast-response inflatable craft for shallow water to reach stranded animals and a lot of patience during rescues. 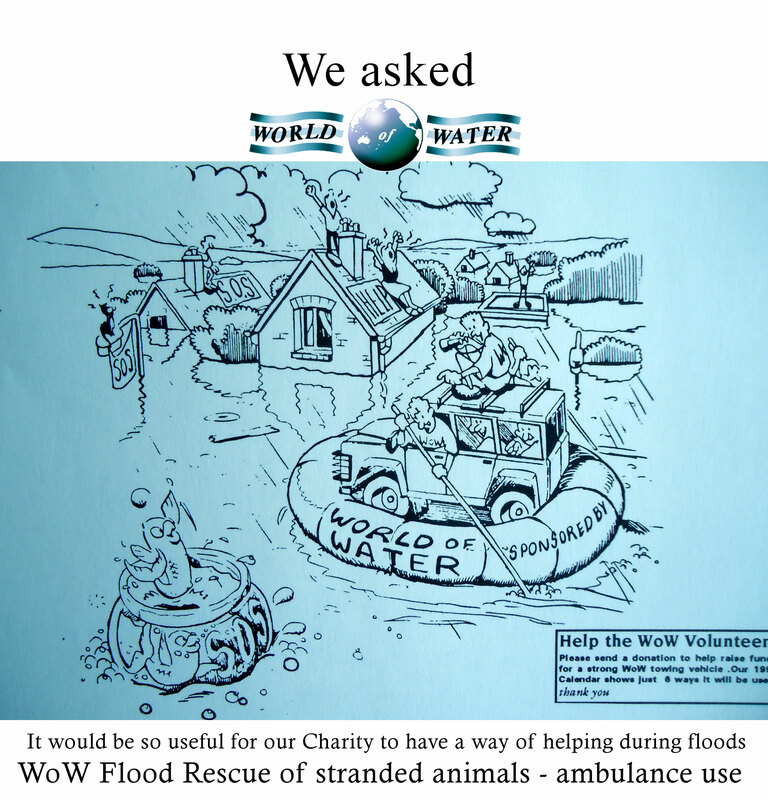 Please share this wish with all you know so we can establish the first ‘lifeboat’ service for stranded waterlife.